One of the first Swedish players to make a significant impact on the global game, inside-right Gunnar Gren formed a fearsome partnership with countrymen Gunnar Nordahl and Nils Liedholm during their time together at AC Milan. An intelligent playmaker, he was an important member of both the Swedish gold medal winning team at the 1948 Olympic Games and the team which reached the World Cup final on home soil ten years later. Gunnar Gren was born in Gothenburg on 31 October 1920. Legally his surname was Olsson and remained so until 1958, but he was always known by the name his grandfather had unofficially adopted. His skill with a football was apparent from an early age. While playing for boys' club BK Strix, Gren won a competition to find the best ball juggler in Gothenburg and as part of his prize was paid to perform at half-time in a handball match. Having played for several junior clubs in the Gothenburg area, he signed for Gårda BK at the age of 16. 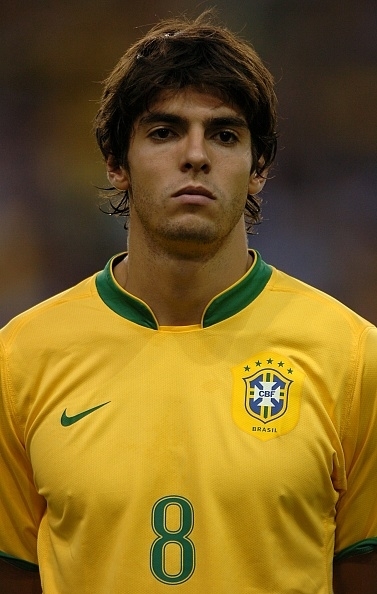 Playing at the time when inside forwards were developing that kind of role that would be recognisable today as an attacking midfielder, he was an exceptionally technically gifted player. For most of his career Gren was much more of a goal creator than a prolific scorer, always knowing the right ball to play at any given time. He made his senior debut for Gårda towards the end of the 1937-38 season and quickly became an indispensible part of the team, being ever present in each of the next two seasons. His international debut came on 29 August 1940, in a 3-2 win over Finland in Helsinki. His first goal came in a return match one month later. With his performances attracting the attention of bigger clubs, perennial mid-table side Gårda were never likely to hold on to their star player for long. In 1941 Gren moved to IFK Gothenburg and in his first season contributed 10 goals to a help IFK claim the Allsvenskan title by four points from GAIS. Although that was to be the only major honour he won with the club, Gren remained one of the most consistent players in Sweden. 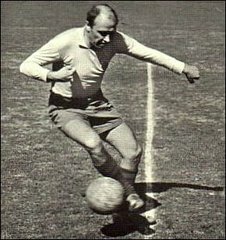 In 1946 Gren was named as the inaugural winner of the 'Guldbollen' award for Sweden's player of the year and enjoyed the finest performance of his international career when he scored four of Sweden's seven goals against Switzerland. One year later he finished as the league's leading scorer and was named in the national team for the 1948 Olympic Games in London. After a 3-0 win over Austria in the first round Gren got his first Olympic goal in the 12-0 quarter-final thrashing of Korea. Victory over Denmark took the team into the final against Yugoslavia, where Gren scored both the first and last goals in a 3-1 victory. On the back of the gold medal winning performance, Gren's team-mate Gunnar Nordahl had moved to Italy to play for AC Milan. Twelve months later, both Gren and another Olympic team-mate Nils Liedholm were offered the chance to join Nordahl in Milan and jumped at the chance. Moving to Italy involved turning professional, which at the time meant that Gren would not be considered for the Swedish national team. He missed out on the team which finished third in the 1950 World Cup in Brazil and would not represent his country again until 1957. In his first season in Italy Gren scored 18 league goals to help Milan to finish second in Serie A behind Juventus, before edging out city rivals Inter to claim the title twelve months later. The club's Swedish trio, nicknamed 'Gre-No-Li', were pivotal to that success. Gren stayed at the club for two more years, totalling 38 goals in 133 Serie A games and gaining the nickname 'Il Professore' (the professor) for his intelligent style of play. He even managed the club for a brief spell in 1952. Gren signed for Fiorentina in 1953, where he would spend two years, before moving on again to Genoa. He was beginning to tire of life in Italy however and in 1956 sought a move back home, eventually joining Örgryte IS as player-manager. Despite being in his late 30s, Gren's return to Sweden eventually led to return to the national team as they prepared to host the 1958 World Cup. A hat-trick in a 5-1 Nordic Championship win over Finland helped to seal his place in the squad for the finals. Gren appeared in the group stage wins over Mexico and Hungary and having missed the draw with Wales, returned for the quarter-final against the Soviet Union. Sweden won that match 2-0 to set up a semi-final with West Germany, where they fell behind early on. Pulling level by half-time, Gren scored his only World Cup goal early in the second half to give Sweden the lead and they eventually went on to win 3-1. At 37 years and 236 days, he was the oldest goalscorer in World Cup history and would remain so until Roger Milla broke his record in 1990. Sweden lost the final 5-2 to Brazil, but their achievement remains unmatched by any Swedish team since. Gren played on for one more year after the tournament before retiring from playing at the end of the 1959 season. His 32 goals for the national team place him fourth on Sweden's all-time list. Having retired, Gren went into management, with IFK Gothenburg in 1960 and in Italy with Juventus a year later. With Juve he took over partway through the 1960-61 Serie A season with the team four points off the pace in the league, but turned their season around and they finished four points clear of Gren's old club AC Milan to win the title. In 1963 Gren returned to management in Sweden with GAIS and even made a return to playing at the age of 42, appearing in 20 games in the 1963 season as GAIS won promotion to the Allsvenskan. He played twice at the top level in 1964, but GAIS were relegated after winning just two games all season and Gren left the club. Over the next dozen years he worked with various teams in Sweden, including another spell with GAIS, before retiring from management after a spell with IK Oddevold in 1976. Gren died 10 days after his 71st birthday in November 1991. A statue of him stands outside the Ullevi Stadium in Gothenburg. SS should be his main position i guess, it is even mentioned in the first line of the info.